Love & Loyally: We Have A Rug! 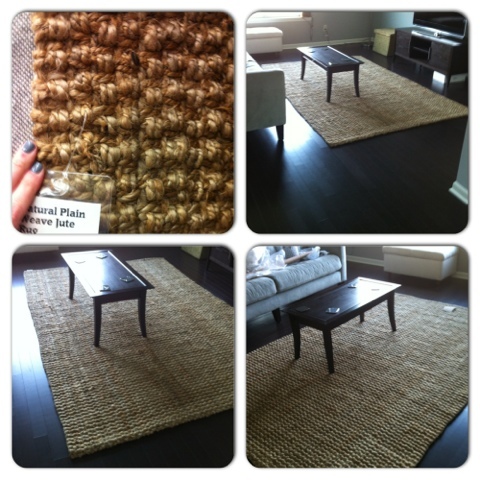 Yesterday we made a decision about the rug we (okay, I) wanted for the living room. Click here to see a previous post about the options we were considering. Please note that we are not finished decorating this room. Basically, we have a couch rug, and TV/TV stand. All the details that make a living room a living room have not been worked out. Give us a break, we've only been there 2 weeks!